Steel Sheet Pile is a kind of edge linkage, and the linkage can free combination to form a continuous close in soil or water retaining wall steel structure. Steel Sheet Pile products according to production technology division of cold-formed thin-walled steel sheet pile and hot rolled steel sheet pile of two types. In engineering construction, cold-formed steel sheet pile in a narrow range of application, as the application of material supplement, hot rolled steel sheet pile has been the main products of the engineering application. 1. WR series section of steel sheet pile structure reasonable design, advanced technology, the forming process of section modulus of the steel sheet pile's products and constantly improve the ratio of weight, make it can obtain good economic benefits in the application, broadens the application field of cold bending steel sheet pile. 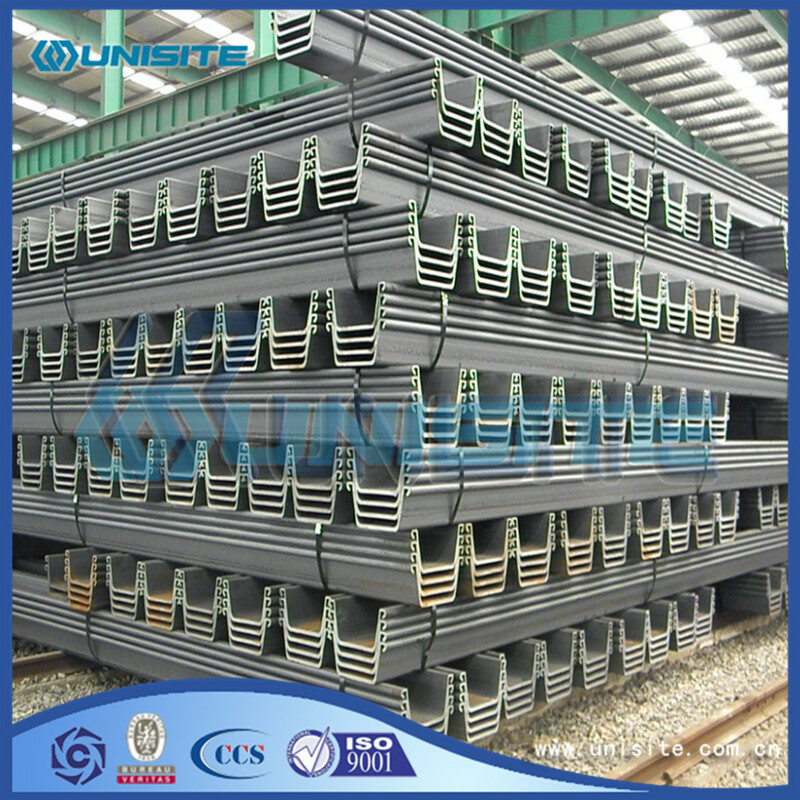 2. rich WRU type steel sheet pile types. 5. can be made according to customer request special length, brought vertebral big convenient for construction, but also reduce the cost. 6. because the production is convenient, and the composite pile supporting when use can be made in advance before they go out. 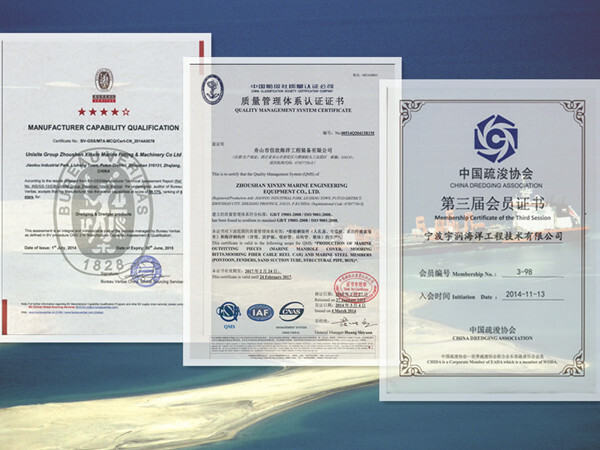 7. production design and manufacturing cycle short, steel sheet pile performance according to customer requirements. Lock in on both sides of the neutral axis symmetric distribution, and the web is continuous, this greatly improves the section modulus and flexural stiffness, ensure sectional mechanics characteristics can give full play to.Because of its unique cross section shape and reliable larson (Larssen) lock. 5. In the severe corrosion of the thickening process, more excellent corrosion resistance. L main application with the bank, the dam wall, trenching dig canal and support. Light section, pile wall to take up the space is little, lock in the same direction, construction is convenient.Suitable for municipal engineering excavation. 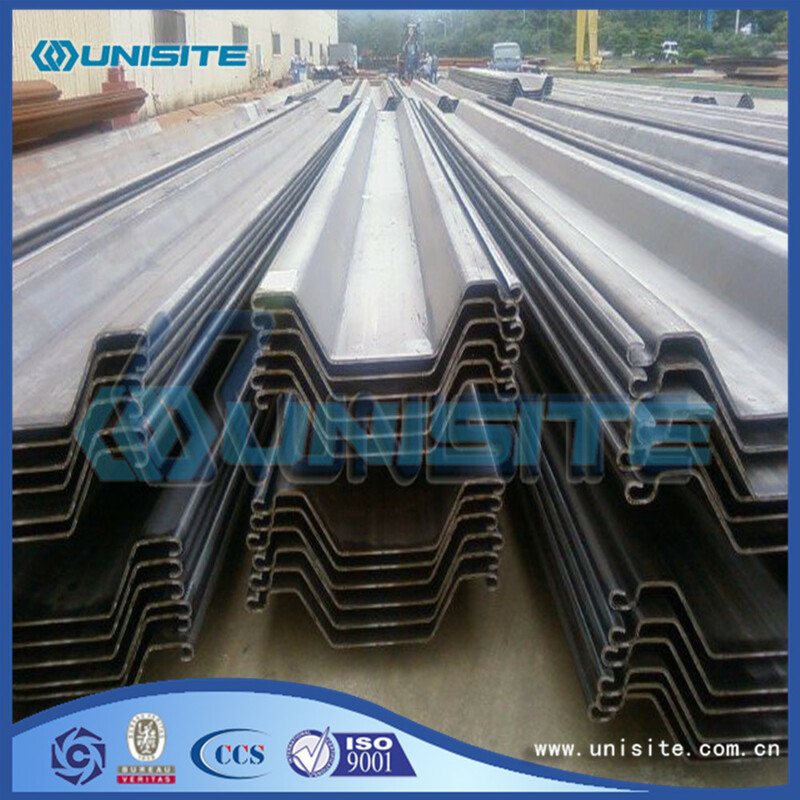 Linear type steel sheet pile is another kind of form, due to its high end, close to the straight line, so for some trench excavation, especially in the space between the two buildings, and must be excavation, etc. 1. It can form a solid steel sheet pile wall, to ensure smooth excavation down, and there is no tread on both sides of the square, the influence of groundwater. Looking for ideal Concrete Sheet Pile Wall Manufacturer & supplier ? We have a wide selection at great prices to help you get creative. 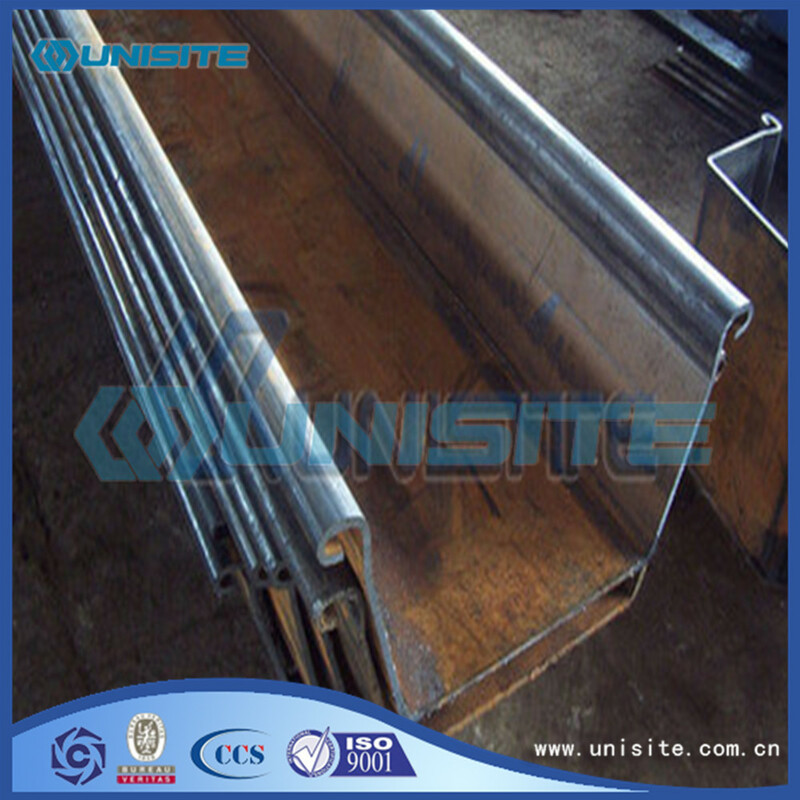 All the Pile Steel Sheet are quality guaranteed. 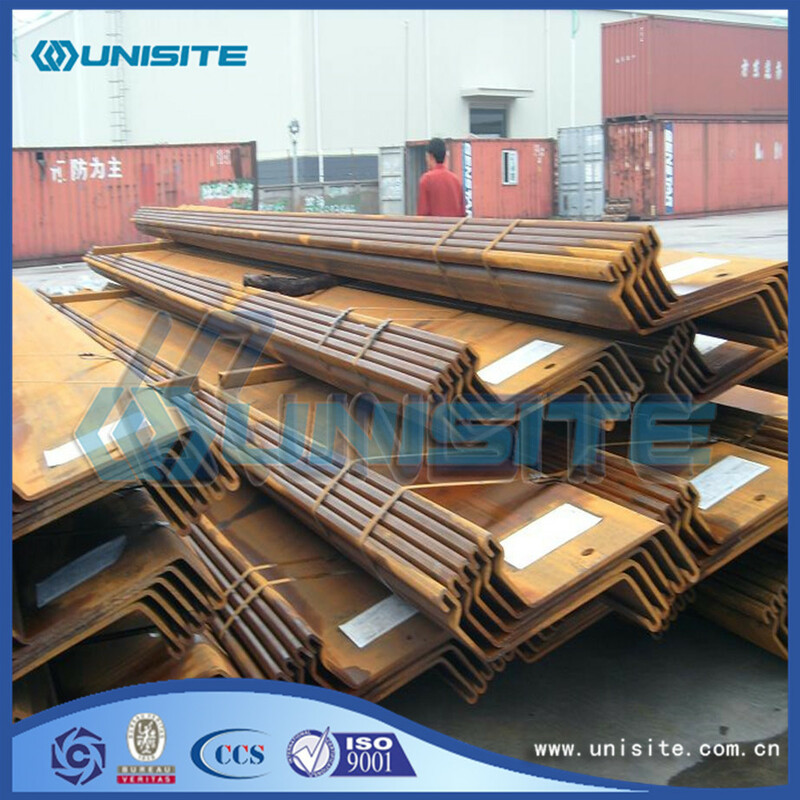 We are China Origin Factory of Sheet Pile Bulkhead. If you have any question, please feel free to contact us.